Internal fixation of fractured femur. 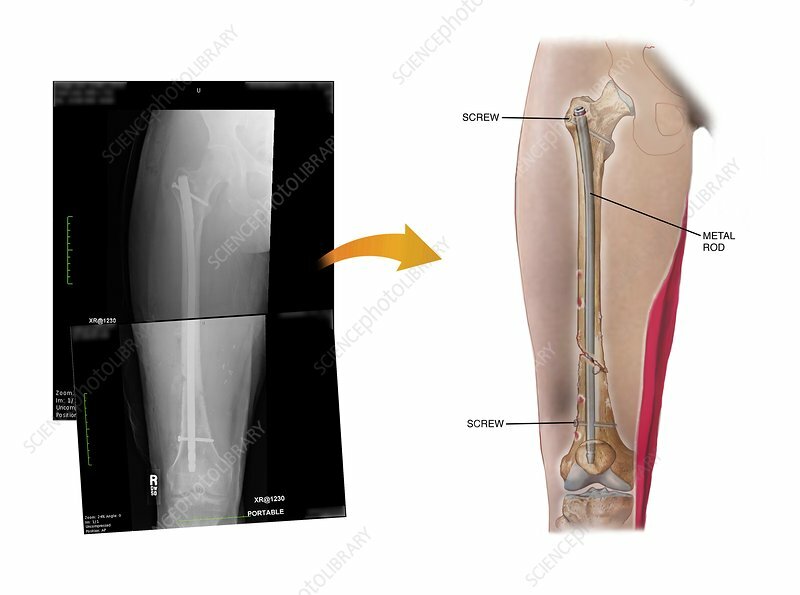 Labelled artwork and corresponding X-ray of open reduction and internal fixation applied to a fracture of the femur (thigh bone) in a patient's right leg. This is an anterior view. A rod and screws have been implanted across the fracture to hold the broken bone in place, allowing it to heal in the correct alignment.